Ryan is a graduate of Stanford University and later played 8 seasons in the NFL for the Chicago Bears and Green Bay Packers. He started his real estate career in 2003 as an Account Executive for Gateway Title Company. He later branched out and acquired his California Broker's license and started his own Real Estate firm. 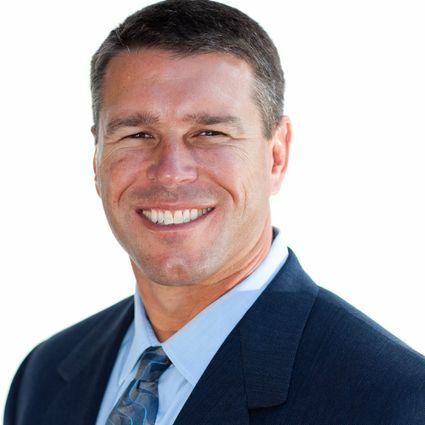 Ryan has helped numerous families navigate the real estate market across Los Angeles and Ventura Counties. My team is dedicated to setting the standard for leadership and customer service in the real estate industry. We have extensive knowledge of the communities in Los Angeles and Ventura Counties. As real estate professionals, we work tirelessly on your behalf to make your next real estate buying or selling experience pleasant and successful. We are a full service real estate company helping buyers and sellers understand the real estate market. Our mission is to be leaders in the community. We believe success is related to experience and leadership. We consistently volunteer to help mentor and lead the youth in our schools and neighborhoods. Ryan, along with his wife Stacey, are currently raising two young boys and have developed a passion for helping young people succeed. The passion to help people has been a pillar to a successful real estate business.